It is the latest version, which is v17.08, add more cars than old version. Use for key programming. More cars than any other transponder machine . Enter 5 numbers Login Code (add 0 if you have 4 digits Login Code). For example, if your Login is 1234, enter 01234. Enter 01 in "Channel Number"
The "Stored Value" is the number of keys currently matched. Wait 15 sec. Repeat this step with each key until all keys have been matched. Enter 00 in "Channel Number"
Enter 0 and Save. This will learn ECU with Immobiliser. Enter 21 in "Channel Number"
I lost my Toyota car keys. I want to know whether I can copy new keys by T300? If not, can you tell me how can I do? 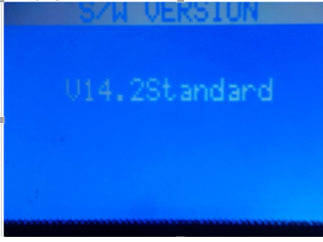 If the T300 key programmer can do the 2013 BMW key programmer? What is the difference between T300 and SBB key programmer? T300 mainly is for European cars. SBB mainly is for USA cars. Compared with the AD100, which one of the T300 and the AD100 is better for the cars before 2005? If there is any good device to do new keys for the 2004 Toyota ?